The Formula 1 Singapore Grand Prix was almost made for Instagram. We caught up with top F1 photographer Steven Tee for how to capture the best of the event armed just with a smartphone. However, while anyone can take great snaps with a smartphone, and share them instantly with the world on social media (using #SingaporeGP), taking next-level pics at the event just takes some practice and a few tips from the pros. Enter the legendary Steven Tee, managing director of F1 photo agency LAT, and one of the sport’s top photographers, who knows all the best places to get shots throughout the Circuit Park. “I love shooting F1 in Singapore, it is one of my very favourite races,” Tee says. 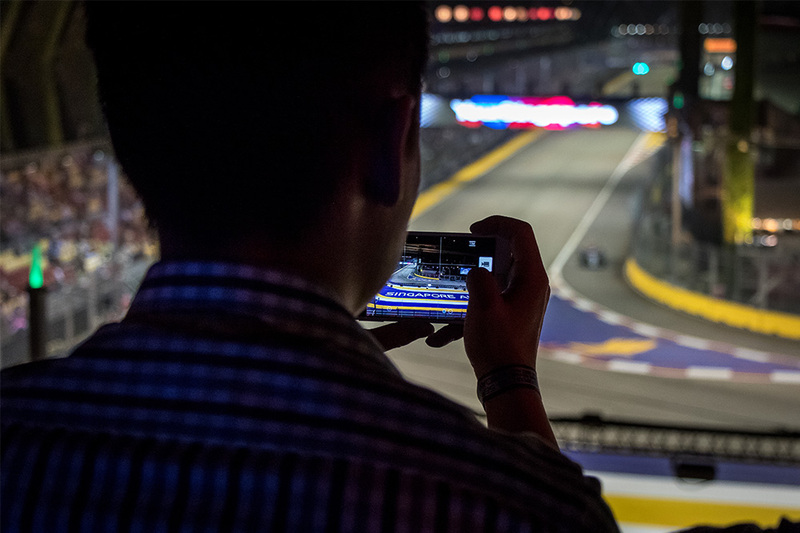 And while Tee is a master of capturing the sport in all its glory, using DSLR gear, below are his five tips for fantastic shots using just your phone at the Formula 1 2018 Singapore Airlines Singapore Grand Prix. Get a bird’s eye view! Zone 1 patrons have free access to the iconic Singapore Flyer throughout the race weekend. Go on the 165m high observation wheel, where you can enjoy a superb overview of the track especially the starting grid and finish line. “Great pics can be taken at night of the track ribboning around the city lit up by the floodlights,” Tee says. The FORMULA 1 2018 SINGAPORE AIRLINES SINGAPORE GRAND PRIX will be held from September 14-16, with tickets available at singaporegp.sg.